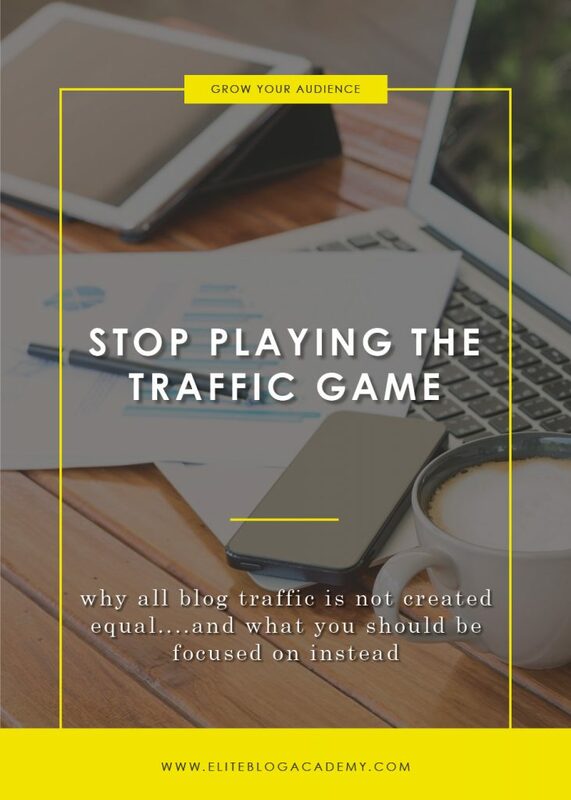 Have you ever noticed, whether you’ve been blogging for a while or are just getting started, that bloggers tend to be a tiny bit–dare I say it–obsessive when it comes to traffic? And while I totally get the logic behind this thinking (more people = more money, right? ), the reality is that in the long run, obsessing over traffic is not the line of thinking that will get us to where we want to go. Now, don’t get me wrong — I’m not saying traffic isn’t AT ALL important. Obviously we all need some amount of traffic, or what’s the point? After all, your blog isn’t going to get very far if absolutely no one is reading it. So even though I don’t believe traffic should be our top focus, I do think it’s important to understand what it is and why it matters. Here are five different types of traffic and which ones you should be focusing on for your blog. Organic search traffic is when someone types a search term into a search engine and comes across your blog as a result. So, for example, let’s say you have a couponing blog and someone typed “how to find the best coupons” into Google. If one of your posts ranked for that term and that person clicked on your post link, that would be considered organic traffic. Direct traffic is when — you guessed it — someone goes to your site directly by typing your URL into their address bar. Referral traffic is when someone clicks on a link somewhere on the internet, like a website, that directs them to your blog. Referral traffic can come from guest posts, affiliate links, other bloggers’ email blasts, … anyone that’s “referring” you traffic. Paid search traffic comes from pay-per-click (PPC) advertising. You can bid on specific keywords on Google and have your ad shown as a sponsored link on the results page. When someone clicks that link, you pay for it — hence the name pay-per-click. Social traffic is any traffic that comes from social media sites, like Facebook, Pinterest, or Twitter. It’s good to know the different types of traffic so you can understand your analytics and your audience. relying on those page views to drive revenue. Unfortunately, the traffic game is a recipe for disaster. If we’re 100% reliant on our traffic to drive revenue, what happens if we lose our traffic? If Google changes an algorithm or our Pinterest page crashes and, all of a sudden, no one’s coming to our page? If we’re playing the traffic game, no traffic = no revenue. To a large extent, traffic and page views are out of our control. 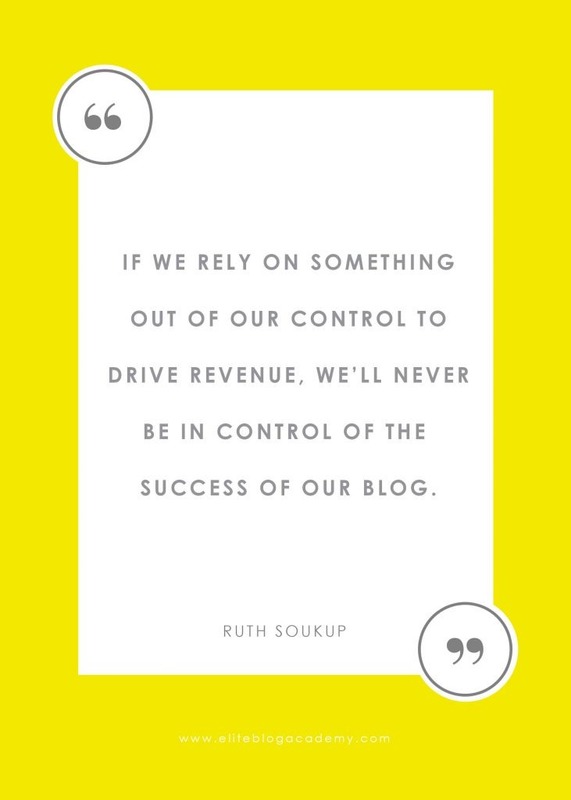 And if we rely on something out of our control to drive revenue, we’ll never be IN control of the success of our blogs. But luckily, there’s a better game for us to play. Instead of focusing on how to get more people to our blog, a much better strategy for us is to focus on what to do with those people once they’re there. If we have a strategy in place to capture the people who visit our blog, we’ll have a built-in audience we can continue to engage from now until infinity — no traffic necessary. So, for example — with Living Well, Spending Less, we don’t generally worry too much about traffic. Instead, we focus on what to do with the traffic once it’s landed on the blog. It’s our goal to either a) get people signed up for the email list, or b) get people to purchase a product. So the entire LWSL blog is optimized in order to get one of those two things to happen. The reason I focus on those two things instead of driving more traffic is that once someone makes a purchase or signs up for our email list, they become a part of our audience. I can continue to engage with them even if they never visit the blog again. So even if our traffic was to totally tank, I’d still have this awesome audience to engage and continue building a relationship with. My traffic might tank, but since our revenue isn’t reliant on traffic, we’d be just fine. When we focus on building an audience instead of building page views, it puts US in control. Because once you capture that email or get that customer, that audience belongs to you — traffic or no traffic. Again, I’m not saying we should ignore traffic. We just need to look at it from the standpoint of how it can help us do what matters — convert people from visitors into followers. So, for example, let’s say you noticed you had a big boost in email opt-ins one day. You look at your analytics and see you had a surge in traffic thanks to a guest post that went live that same day. This is super helpful information. 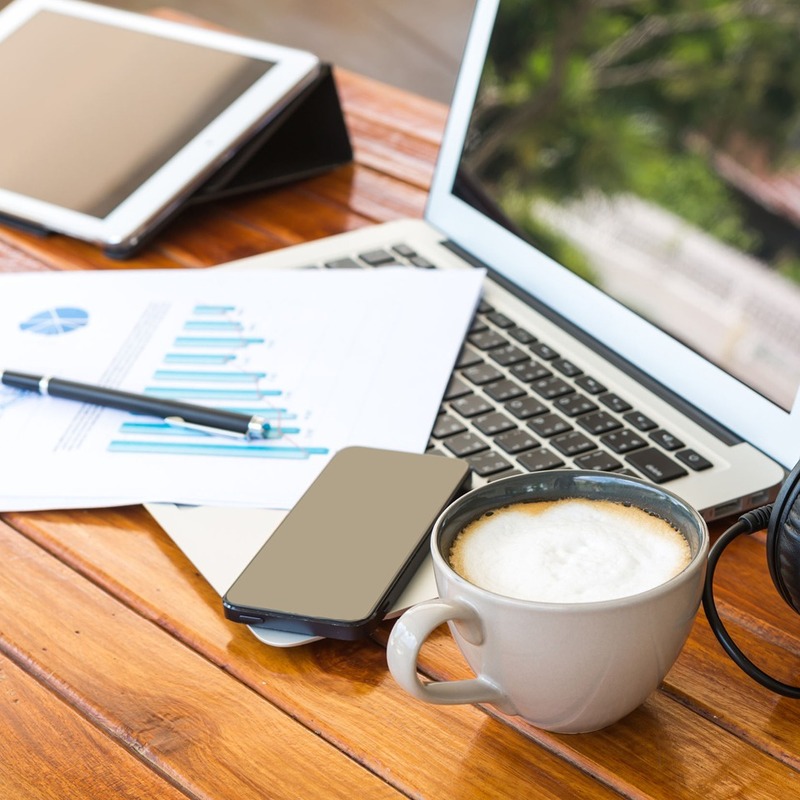 You know the surge in traffic from your guest post resulted in a big bump in your email opt-ins, so guest posting is definitely a strategy you’ll want to focus on in the future. Or, on the flip side, let’s say you wrote a guest post and got a spike in traffic but no spike in email opt-ins. That might tell you that the site you posted on wasn’t the best audience fit or your message didn’t connect, which gives you constructive feedback on what to work on in the future. Or let’s say all of a sudden one of your posts went viral and you started getting a huge amount of traffic to that post. You would definitely want to revisit that post and make sure it’s optimized to capture people’s email addresses so you don’t miss out on turning that traffic into followers. From the standpoint of knowing what’s working, what’s not working, and which strategies we should focus on in order to build our audience, understanding our traffic is super helpful. As long as the focus is on building the audience, not on getting more page views. When we’re caught in the traffic game, it can be easy to gauge our success based on how many people visit our blog. But in the end, it’s not the quantity of people who visit our blog that matters — it’s the quality of people we build into our audience. Suddenly i feel that i don’t care about traffic anymore after reading your post! Great post, you bring me to a special passion. May i re-write this for my blog with Indonesian languange? Thanks Ruth. This post is really a motivation. I was so crazy about how to get more traffic that I sometimes fail to write anything for my blog just because of the fear that nobody will read what I wrote. This is especially because I’m still a rookie blogger. I feel inspired to create a product or service that will benefit my readers even if I only have a few readers.